Why choose our adoption services? With more than a century of experience and expertise in the field, The Children’s Home Society of New Jersey offers many paths to building a family through adoption. Whatever type of adoption you pursue, CHSofNJ will stand behind you and offer our professional help every step of the way. We are a licensed, accredited child placing agency dedicated to quality service for children and families in New Jersey and Bucks County, PA. We will be responsive to your needs throughout the adoption process. We will connect you with other adopting families so you can support each other and share your joy. Many choose CHSofNJ because our post-adoption counseling is always available. Our adoption experience and reputation for quality adoption and permanent records date back to the turn of the century. Over these decades we have placed thousands of children for adoption. Many people select CHSofNJ for adoption services because permanent record maintenance is so important to all parties involved in adoption. Since 1894, The Children’s Home Society of New Jersey is committed to placing all infants and toddlers, of all races, whose birth parents come to us seeking placement. In domestic adoption we work only with families who live in New Jersey or Bucks County, Pennsylvania. 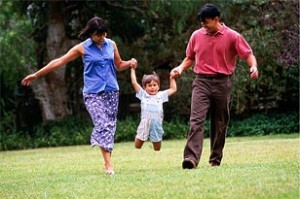 We provide the home study and facilitate the adoption from beginning to end. The Children’s Home Society of New Jersey believes that adoption is a lifelong process. We are committed to ensuring successful adoptions for all families and children. Our post-adoptive services are available to birth parents, adoptive parents, and adoptees. Services include counseling at all stages of a child’s growing years. CHS of NJ Post Adoption Services are available to anyone who is adopted, either domestically or internationally, whether the adoption was through The Children’s Home Society of New Jersey or not. Informational meetings are scheduled at varying points throughout the year. Check back frequently for dates and times. Our services are designed to support families for the long term. If you would like more information on any of our adoption services please contact us:(800) 247-6365.